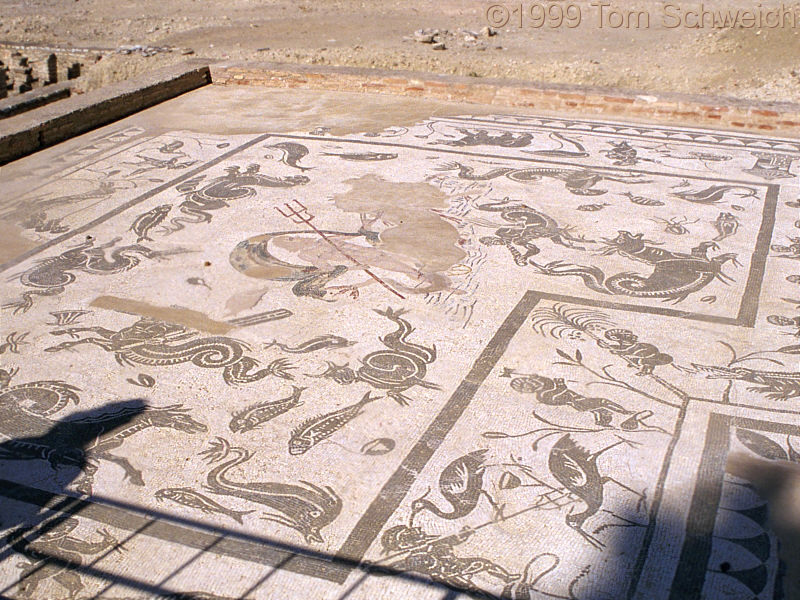 Photo: Detail of Mosaic Floor in Italica. Eastern Mojave Vegetation Detail of Mosaic Floor in Italica. Originally, I thought this was a "terrazo" floor. However, since I posted this photo on the web, I've been told that this is more properly called a mosaic floor. The small pieces of stone are called tessera.